We've got the future under control. Crime has a new enemy. 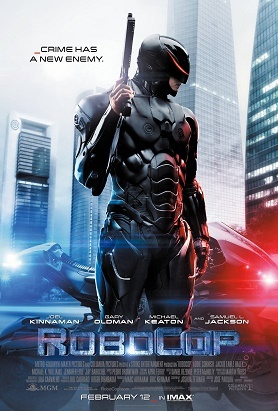 Synopsis - In 2028 Detroit, when Alex Murphy - a loving husband, father and good cop - is critically injured in the line of duty, the multinational conglomerate OmniCorp sees their chance for a part-man, part-robot police officer. I don’t think robots are the issue. I think no one likes the psyche of the Rorschach test. No Bruce, not everything works in black. What battery does Robocop use that he needs a recharge every 15 minutes. You are programmed to not disobey the primary color. Dead or Alive. Robocop never dies.